Brand New Joes Remote Tire Inflator. This Remote Tire Inflator is produced by JOES Racing Products. (Part # 32486). JOES New Remote Tire Inflator provides a safe and efficient way to mount your tire with ease. The strong Clip-On Style Air Chuck and 5 Ft. Rubber Air Hose provides a safe distance from the tire and wheel while the tire inflates. This new device also includes JOES Quick Fill Inflator and our all new 60 PSI Pro Tire Gauge giving you not only a safe inflation, but also an accurate one. JOES New Remote Tire Inflator provides a safe and efficient way to mount your tire with ease. 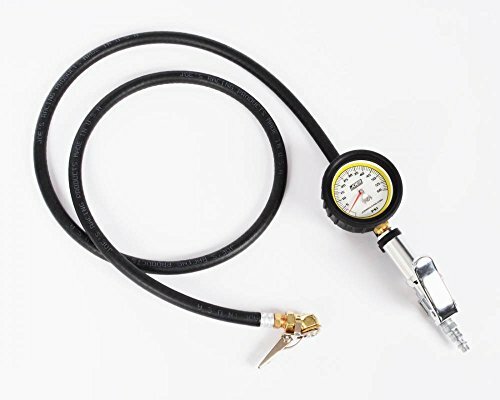 The strong Clip-On Style Air Chuck and 5 Ft. Rubber Air Hose provides a safe distance from the tire and wheel while the tire inflates. This new device also includes JOES Quick Fill Inflator and our all new 60 PSI Pro Tire Gauge giving you not only a safe inflation, but also an accurate one. If you have any questions about this product by Southwest Speed, contact us by completing and submitting the form below. If you are looking for a specif part number, please include it with your message.